Put your cleats on for a day of soccer, support, and community! When we asked our unaccompanied minors living in the Bay Area what they needed to feel whole, their answer was surprisingly simple and powerful: “Can we play soccer one day?” Futbol con Corazón was born. 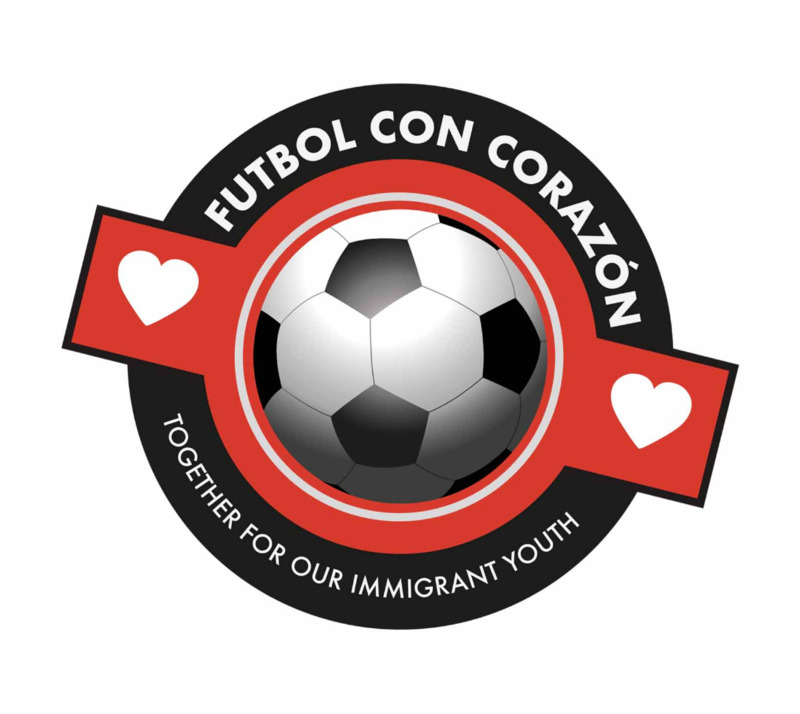 Now in its fourth year, Futbol con Corazón is a highly anticipated, daylong community celebration. Friends, coworkers, and/or family members join our enthusiastic, soccer-loving, unaccompanied minors to create soccer teams and compete on the field for a day. 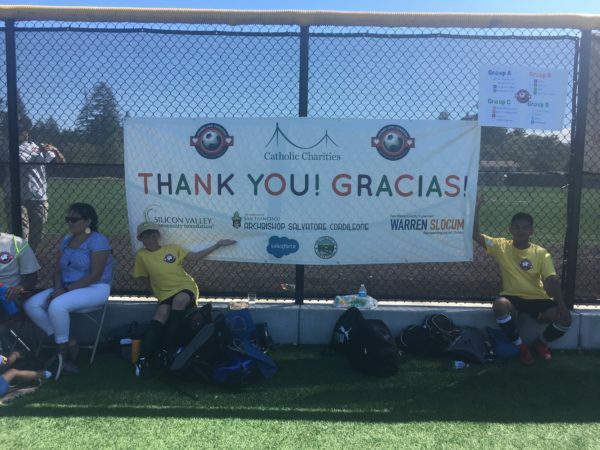 Our kids have played with the San Mateo Sheriff, Redwood City Police and Fire Departments, San Mateo County and Santa Clara County city officials, Telemundo and Univision reporters and anchors, and employees from companies like box, Google, Walmart, and many others. See coverage of last year's event on ABC7. Interested in fielding a team? Create and sponsor your team of seven fleet-footed family members, friends, and/or coworkers and our amazing kids will join your team to make it stronger and complete! We've got five sponsorship levels: $25,000, $10,000, $5,000, $3,000, and $1,500. Donations are also welcome from those not joining us on the pitch but wanting to support these resilient kids. We’d love your help to help us carry forth our vision on the day of the tournament. Join us as a player, volunteer, or donor to make this day unforgettable for these amazing kids and help us continue supporting them in their adjustment to life in our community. Please email Futbol@CatholicCharitiesSF.org to learn more. Seeking escape from persecution, abandonment, exploitation, serious deprivation, and violence in their communities. They also may be the victim of human trafficking. Alone. Separated from family or orphaned. From all over the world; with the majority from Guatemala, Honduras, El Salvador, and Mexico. Only represented by counsel in court 32% of the time. Confronted with a low 15% success rate when unrepresented in court. With representation, the success rate rises to 73%. Join us for an afternoon of soccer, revelry, fun, and inspiration! Sponsor a team of your own that includes resilient unaccompanied minors ready to play with passion! Email Futbol@CatholicCharitiesSF.org to learn more. Unaccompanied children come from all over the world, but the largest numbers arrive from Guatemala, Honduras, El Salvador and Mexico. Children flee their countries to escape persecution, abandonment, exploitation, serious deprivation, violence in their communities, or to reunite with a caregiver, often after losing one at home. Some are victims of human trafficking. Some are alone, separated from family or orphaned.They all long for safety, care, family, and a place to call home. These children are now facing adversarial removal proceedings opposed by experienced government attorneys, with only about 32% represented by counsel. It is highly unlikely that an unrepresented child will prevail in immigration court, even if he or she has a bona fide claim for protection. A recent study found that represented children have a 73% success rate in immigration court, as compared to only 15% of unrepresented children. To respond justly and humanely to the unprecedented spike in the number of children who made the treacherous journey north in the past few years, Catholic Charities began offering free legal immigration services to these children and youth. We are working to find ways to protect the rights of vulnerable unaccompanied children by supporting their housing, education, mental health, medical, and legal needs within nurturing and safe environments. It is fundamentally important to safeguard their well-being. Undoubtedly, our community will play a fundamental role. It is critical that we welcome these young people and develop opportunities for them to be kids.